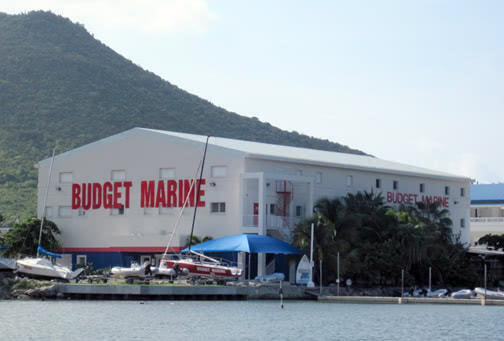 The Budget Marine’s flagship store, regional headquarters as well warehouse of the Budget Marine group of companies. It carries the largest selection of marine products anywhere in the Caribbean. Our staff is knowledgeable and dedicated to customer service. Visit us by land or sea. We’re located in Cole Bay at the far eastern end of the Simpson Bay Lagoon. The Budget Marine store is easy to spot. We have ample customer parking in our parking lot and at our dinghy dock. English, French, Dutch, Spanish and Papiamentu. Shrink Wrapping Service. Cost Material $3 per ft. (price may vary) plus cost labor $40. Dock Rental for dinghies, limited spaces available. Cost $10 per ft. per month. Oil Disposal. Cost $2 per gallon. Duty Free pricing for visiting yachts. Bring in your boat registration and a valid picture ID to set up an account in store. Enjoy Free Wifi in our store. Give one of our Budget Marine Gift Cards: The perfect boaters gift. They are available upon request and can be purchased from the cashier. 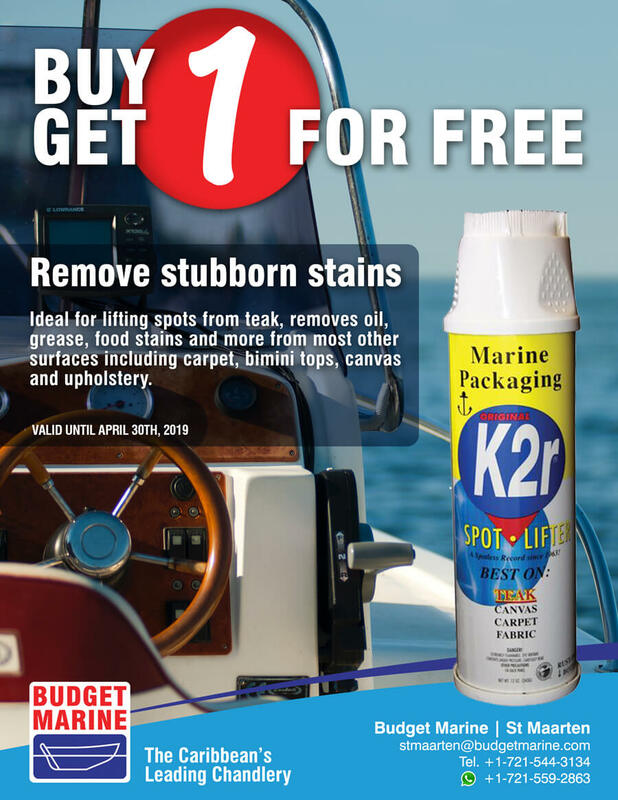 Free informational brochures, supplier catalogs, marine trade directories, magazines and newspapers are frequently distributed in our store. Epirb Programming available. We organize this to an outsourced contact. Inquire in store. Budget Marine has tailored their inventory to include the best range of products for their Super Yacht customers. Through this unique program, we offer specialized, one-stop, shopping for mega yachts wherever they are in the Caribbean. Patricia Boisard can help you find what you need in our St.Maarten store and Thierry can help you with any special orders from around the globe if we do not have it in-store. You can reach them both for mega yacht related product information. E-mail: patricia.boisard@budgetmarine.com or thierry.vigneron@budgetmarine.com. Phone Patricia :+1721-544 3134 – ext.1252 or Thierry +1721-544 3134-1276. Arrangements can be made for on island delivery of bulk buys and heavy products by truck or by dinghy for purchases that meet the minimum. 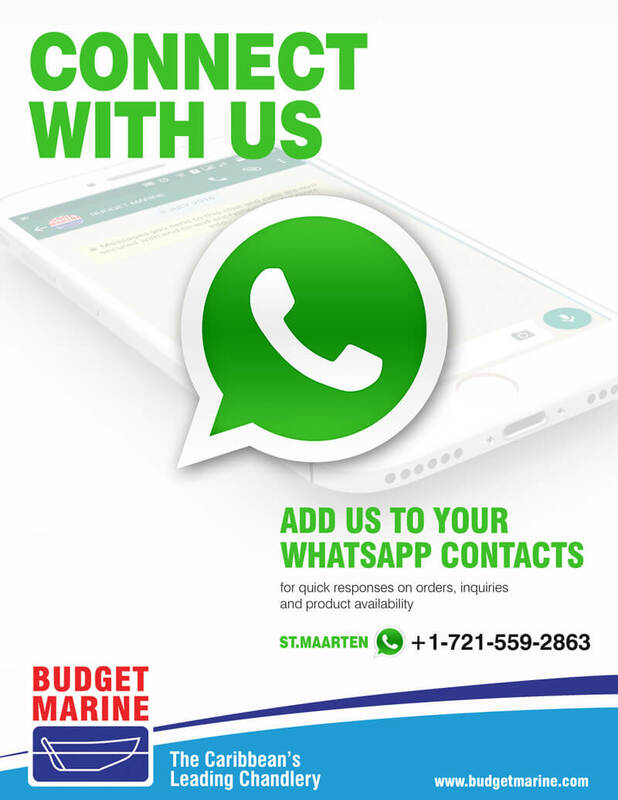 If you are unable to get to one of our locations, Budget Marine can assist in getting your supplies or parts shipped directly to you via ocean, air or express shipping. For more information on our shipping procedures see the Shipping and Export page. We accept US dollars, Antillean Guilders and Euros. Prices in the store are listed in US dollars and Antillean Guilders. We accept local and US and bank drafts. We also accept wire transfers for customers that would like to purchase items without being present in store. We will provide you with any wire transfer information if this is the case. The price stated on our website are in US dollars and applies to the St. Maarten location for those customers that are Yacht In Transit, Export Customers or Non Residents that provide proof of this status. Regular store prices will include local taxes. We are committed to giving you the best possible pricing.